Currently we are running some external CFD analysis on parts of our robot to get the lift and drag coefficient and the center of pressure . 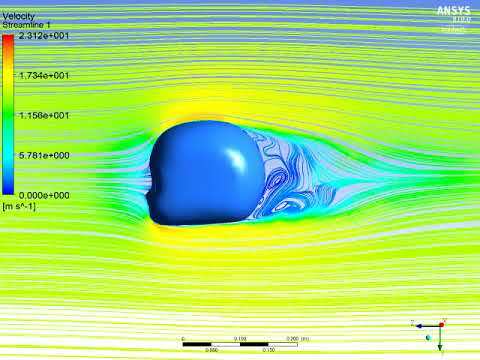 The simulations are performed using ANSYS Fluent . Considering that the CAD model of the robot is designed using PTC Creo, and considering that recently PTC has introduced a module for flow analysis , we would like to run such simulations directly in Creo. The only problem is that so far we didn't find a document or a video explaining how to get the lift and drag coefficient and the center of pressure. - Do you know if it is possible to get the lift and drag coefficient and the center of pressure for external CFD? - Do you have a link to a document that explains how to run such simulations? - Which package (basic, plus or premium) should we buy? Yes, you can select the surface and create a xyplot to monitor pressure or shear force on that surface. To compute lift and drag coefficient, we can use expression to do that very easily. You can use expression to define equations and formula. We also support user defined variable for xyplot. similarly, flow.tx means shear force x component. For the center of pressure, we need to do an integration of x times pressure of x component on all external surfaces and it is straightforward to use expression to write it. Please contact me if you got further questions! For the package, if you only have external fluid dynamics problems. You only need the basic package, that includes flow, turbulence, heat transfer and all post processing tools. The setup is very straightforward. Most of external fluid problems, we can get the converged solution in couple minutes. We can also show the results in the real time during the calculation. For the cl, cd and center of pressure calculation, you can select the surface and create a xyplot to monitor pressure or shear force on that surface.